What do you need from me to make me a suit/partial? -I will need a 30% Down Payment/deposit on your commission ( not refundable if you decide to end the commission) and a Duck Tape Dummy either of your full body or whatever parts you're having made. I will also need a pair of shoes to build your feet on. I prefer that you buy a pair of shoes that you are comfortable with and that fit you well. - Paypal and Invoice Bank transfer. - I do prefer bank transfer as paypal takes a huge bite out of the transfer. - You can pay in full or in installments. - 3-4 installments is preferred. -Shipping is paid by the customer. -All packages are shipped via posten Norge AS. -Shipping is calculated by weight and destination. -I am not responsible for any additional import or taxes. -All packages are sent with tracking and insurance. -I do not work with hard set deadlines. I do not accept any Convention or event deadlines. -Any attempt at guilting or pushing for con/event deadlines is NOT acceptable. If Your costume is not finished and shipped out at least a month before your con/event, do not expect it to arrive on time. If your costume has not yet been fully started at least four months before your con/event do not expect it do be done in time. -Have have to be clear and strict about this part. I will NOT be held responsible for making your con/event a good time or not. Can you bring my costume to a convention. Yes. For a small fee. any extra luggage fee needs to be payed by the customer. Can you guarantee completion for a specific convention/event? No. I will not promise any con or event deadlines. Do I need a reference sheet of my character? -YES! :) There are many great artists that can make you a reference sheet. The reference should have both front, back and preferably a side view of your character. A tip is to get a ref sheet from an artist that has a style you like or preferably a style that you think matches the style of fursuits I make. How Can I be Sure the mask will fit me? Foam heads are usually not a problem, but resin bases are a bit harder to make fit perfectly. 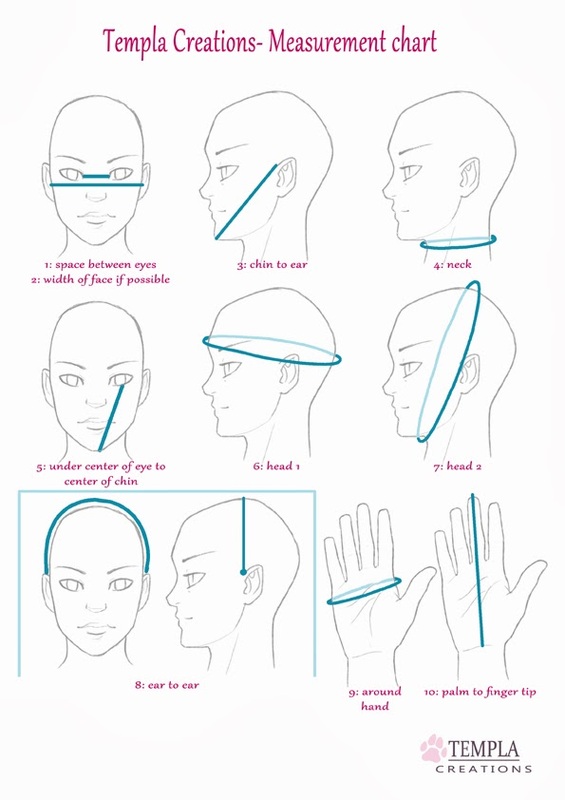 -I will make the mask as close to your head measurements as possible. But Since I don't have you here in person , you will most likely need to adjust the foam and elastic inside the head for a perfect fit. Can I ask you for WIP pictures? Yes! Tho I will only post WIP pictures when I feel comfortable with the look of the item I'm working on. Can I send you lots of request for updates about my suit? I will contact you as soon as I have things ready to show you. Do you order parts from other makers ? I make everything from scratch . Tho If you prefer a base or parts from another maker I am willing to try working with those. You will need to provide and send me the parts. You wish to see your fursona come to life? Here is a little guide on how you can make that dream come true. First you will need a proper ref sheet. A ref sheet is a drawing or a 3D model showing your character from different angles. It is important to have a most detailed ref sheet as possible. I can't read your mind, so the more detailed ref sheet, the less questions I need to ask about different details. 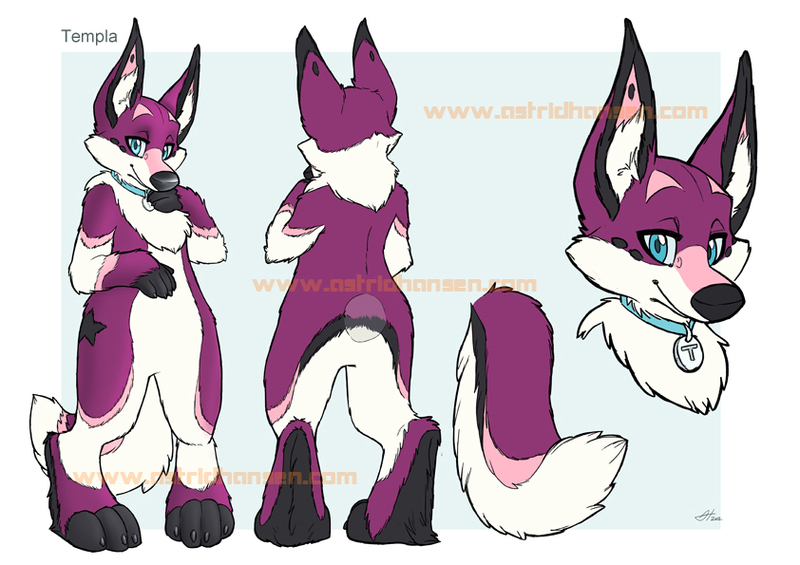 The ref sheet needs to have a back and front view of your character and be full colored. Pleas specify any desired facial expression, like- Sad, angry, cute, flirty etc. You can also add a little text to explain the characters personality, this usualy helps me out a lot. You must be 18 years or older for me to consider working with you. If you have it all figured out and know what you want, you can now send in a quote! I will only answer quote requests that are submitted when quotes are open. When I receive your quote request I can give you an estimate on how much your suit will cost. If I feel that your character is something i can bring to life, I will offer you a slot. If I don't hear back from you within 48 hours of the slot being offered to you, I will offer the slot to the next one on my list. Please only send in a quote request if you are a serious buyer and can pay at least 50% of the amount up front. When I accept to make your suit I will need. The following image shows the measurements i will need. It's Important that the dummy has feet and a neck, this is to prevent the finished suit from being to short, and to make sure there are no gaps. 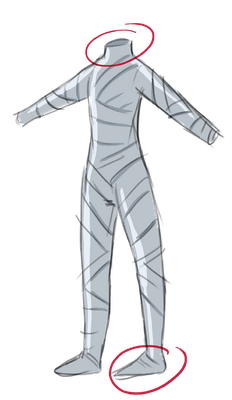 - Do NOT tighten the tape trying to alter and make your body a different shape, this will only make the suit saggy and to tight in the wrong places. If your weight is due to change please make the DTD close to your costume start time. If your weight has changed drastically and I have not started your costume yet, please notify me so that you can make a new dummy. A size is not a size. I do not want to buy a pair of shoes that may not fit you.. You will need to get a pair that sits comfortable on your foot. It is important that the shoe you send is NOT a high top. this will make it impossible to get your foot into the shoe when the foot is finished. If you don't send me shoes I will make the feet without them. - Take a piece of paper and simply trace around your hand. Make sure to draw a bit up your wrist to.